President Trump's attorney, Rudy Giuliani, told Sky News on Thursday that Americans would "revolt" if Trump is impeached. 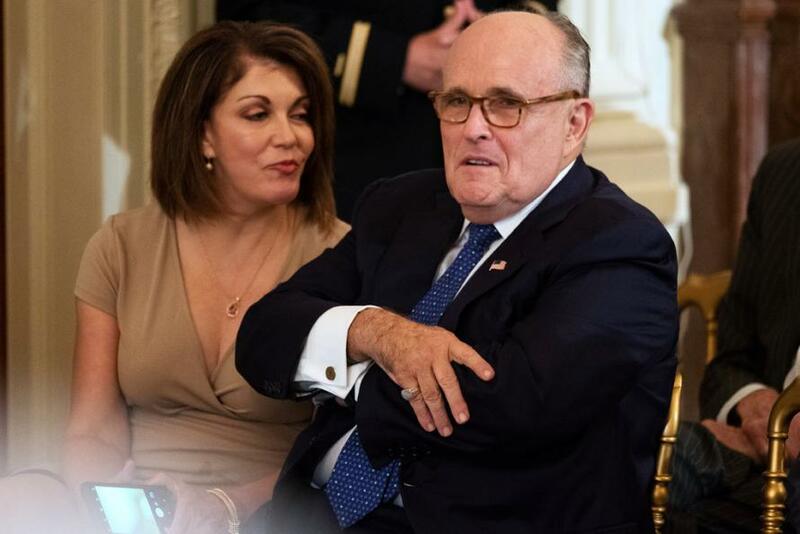 "I think impeachment would be totally horrible," Giuliani said. "There’s no reason. He didn’t collude with the Russians, he didn’t obstruct justice. Everything [Michael] Cohen says has been disproved. You’d only impeach him for political reasons. And the American people would revolt against that." On Tuesday, Trump's former longtime attorney and self-described "fixer," Michael Cohen, said that President Trump directed him to pay off two women who claim to have had affairs with Trump over a decade ago. Cohen's attorney, Lanny Davis, says its "absolutely clear that Donald Trump committed a felony" by paying hush money to the women during the run-up to the 2016 US election. Giuliani, on the other hand, says Trump has been "completely cleared" by Cohen's testimony. "You have this Cohen guy, he doesn't know anything about Russian collusion, he doesn't know anything about obstruction, he's a massive liar," said Giuliani. Evidence against Trump includes a tape recording made before the election in which Trump and Cohen discuss payments to the keep the women's stories silent. On Thursday, Giuliani downplayed the significance of the tape, saying "The tape recordings say very clearly that Cohen did it on his own, didn't tell the president until much later." Meanwhile, Giuliani lashed out at the Department of Justice on Thursday for the intense focus on Trump, while Hillary Clinton's conduct has gone unaddressed - tweeting: "If there is any justice left at DOJ why is payment by Hillary Clinton and DNC to FusionGPS for the phony Steele dossier not under investigation. On your theory in Cohen plea it’s an illegal campaign contribution.Let’s go DOJ wake up. where’s the indictment. Clintons not above law." President Trump said in an interview with Fox News this week that he was doing a "great job" and that the market would crash if he were forced out of office. 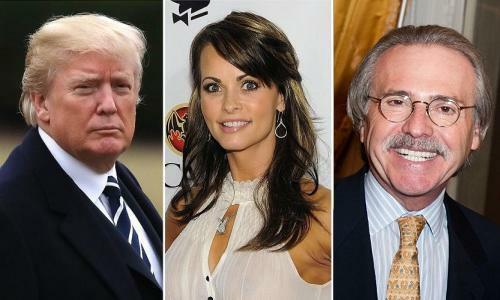 On Thursday, the Wall Street Journal reported that American Media Inc. CEO and longtime friend of President Trump, David Pecker, had been granted immunity in the Trump investigation. In the recorded conversation between Trump and Cohen, they can be heard discussing purchasing the rights to McDougal's claim. Cohen can be heard telling Trump that he needs “to open up a company for the transfer of all of that info regarding our friend David," likely referring to Pecker. Will a flipped pecker give Trump the shaft?